Our sausages are now gluten free. 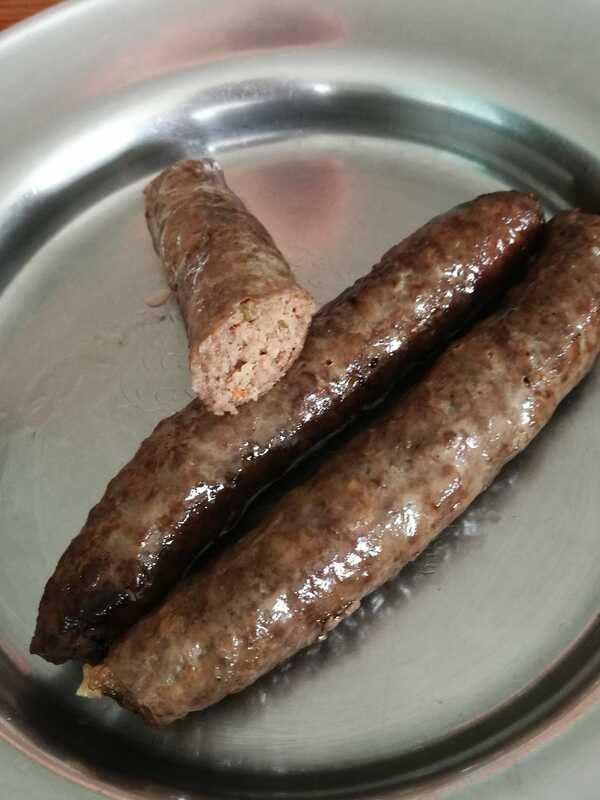 Ignatious, our butcher, worked with us to produce a new recipe too and we are really happy with how they taste. I had most of the packet eaten before I thought of photographing them! As before, they are free of preservatives, colourants etc which also allows the taste of the beef to shine through. Most mince has preservative in it, according to Ignatious. He doesnt use it though, preferring to mince in small amounts throughout the day: which sounds tedious. Good man yourself.